Sarah Tunstall won an individual silver medal in the senior women’s uphill race and led Britain to team victory. She was just under a minute ahead of third-placed world champion Andrea Mayr of Austria in 50:51 over the 8km course. Victoria Wilkinson finished fifth and Rebecca Hilland 12th to ensure Britain won the title from the Italians by a clear 14 points. Kate Walshaw was a non-scoring 28th. 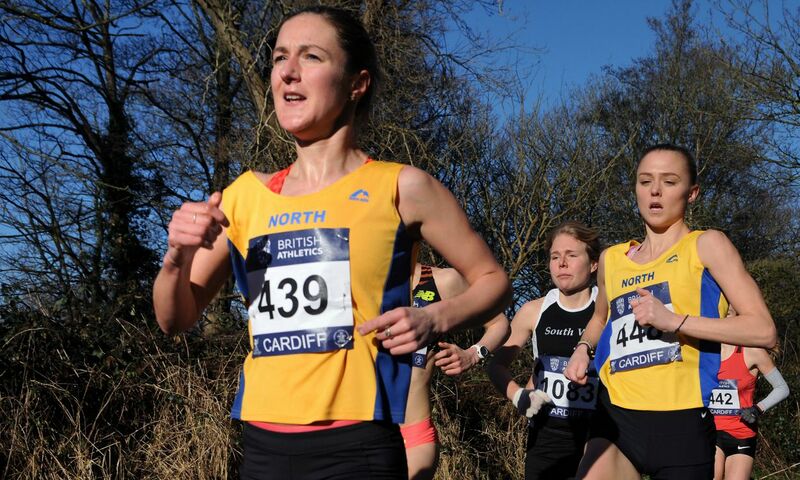 Heidi Davies was ninth, while Helen Thornhill finished 20th position on her Great Britain debut. They won gold from Romania by a single point. Germany’s Lisa Oed won the individual crown in 23:16. Andrew Douglas was seventh in the senior men’s race in 64:51 won by the Italian Xavier Chevrier in 62:51. British debutants Chris Farrell and Chris Arthur finished 28th and 29th respectively, while Chris Smith was 42nd as the team finished fifth. France won the team gold. Joseph Dugdale was eighth in the junior men’s contest while Chris Richards was 15th and Josh Boyle and Elliott Matier were 28th and 31st as the team finished sixth overall. Italy won team gold while Romainian Gabriel Bularda won the individual title. Markhim Lonsdale bounced back from his 800m trials disappointment with the second quickest time of his career with 1:47.07 to get a perfect send-off for the upcoming European U20 Championships. Junior rival Ben Greenwood set a PB of 1:48.71 in second while a third junior, Canaan Solomon, also dipped under 1:50 for third and is hopeful of being a late addition to join the others in the team. In a rare two-lap outing, Charlene Thomas won the women’s 800m in 2:03.87. Seventeen-year-old Alex Botterill, who is off to Bahamas for the Commonwealth Youth Games, was inside 1:50 for the first time with a PB of 1:49.97 to win the B race. Sam Stabler won the men’s 1500m A race in 3:42.42, while in the B race Anthony Whiteman attacked the masters M45 world best of 3:48.53 but agonisingly finished just 0.19secs off that mark. Graham Rush (14:05.97) and Emma Mitchell (16:01.74) won the 5000m races. See this week’s AW magazine for Kevin Fahey’s report. The 2013 European indoor champion Perri Shakes-Drayton finished second in the 400m in 52.37 ahead of Anyika Onoura (52.48). It was her fastest time for four years and the quickest since her horrific injury in the 2013 World Championships 400m hurdles final. Matthew Hynes won the men’s race easily in 31:45 from Conrad Franks with 33:52. “It was a great race,” said Hynes. “I’ve had every position on the podium now and I’m really pleased to get the first. Sarah Laverty was first woman in 37:28, while young runners also got involved with the Simplyhealth Great North 10k Toddler Dash and Family Run. The North East’s biggest 10km run saw over 5000 participants take on the Gateshead course, which ended on the track in the famous Gateshead International Stadium. There were wins for Richard Dare in 34:54 and Joanne Gallagher in 40:49. Olympic marathoner Scott Overall won in 31:05, with Tom Mower second in 31:39. Gemma Steel, who was seventh overall, won the women’s race in 33:36.